Is Aitutaki Worth the Effort? So you’ve already flown half way around the world to get to paradise, you probably don’t want to board another flight. I mean how much more beautiful can Aitutaki really be? Well put it this way, nearly all of my photos from the Cook Islands were taken in Aitutaki. Yes, it really is that beautiful and yes, it really is worth the extra effort. 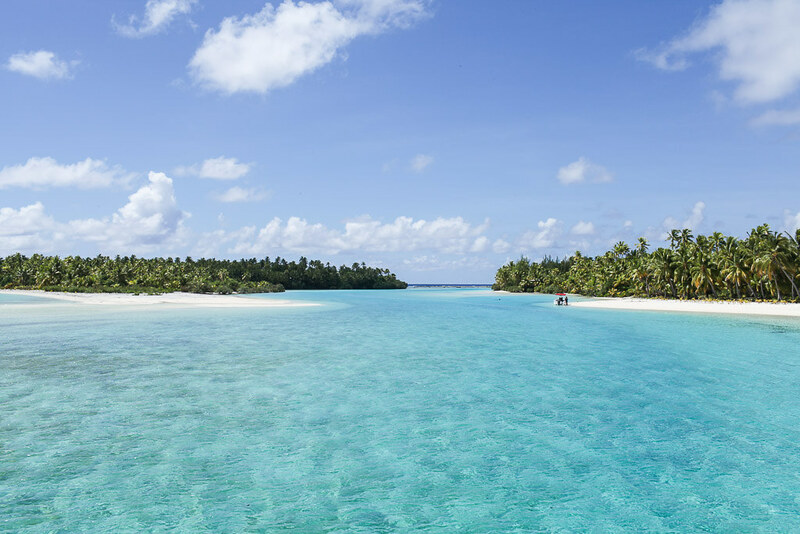 The most common way to reach Aitutaki is by air and the only airline to fly the route is Air Rarotonga. The good news is that flights only takes 50 minutes and depart multiple times a day. The bad news is flights can be expensive, especially as you’ll need to book a return ticket. 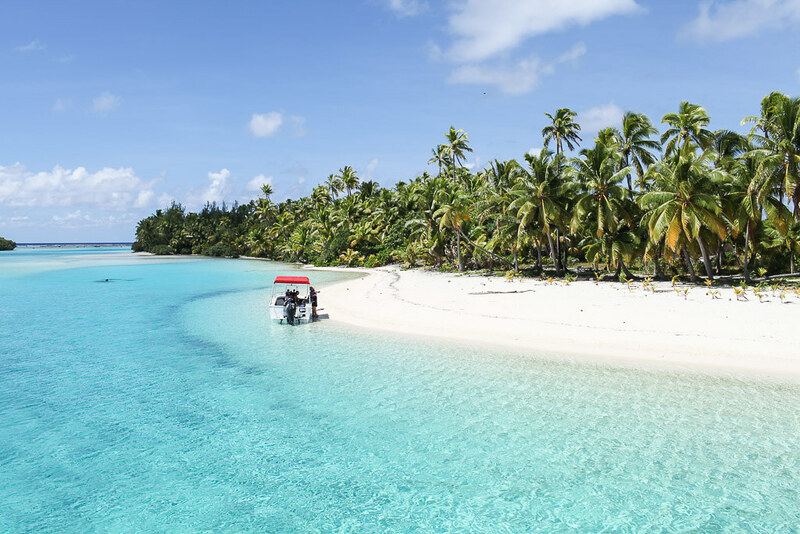 A return ticket from Rarotonga to Aitutaki will set you back about $400-$500 NZD, but you can find deals if you book in advance. Is it worth the hefty price tag? Absolutely, plus you’ve already flown all this way, you might as well go the extra few miles. 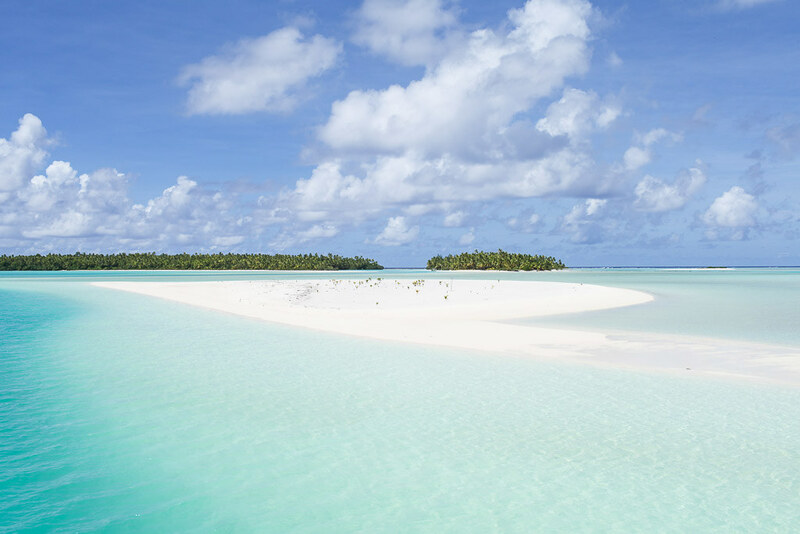 Aitutaki can easily be visited as a day trip. The day trip comes as a package and would include your hotel transfer, return flight, boat trip around the lagoon and lunch on board. It costs $493 NZD if you book directly with Air Rarotonga and it’s a really good price when you break down the individual cost of the return flight and boat trip. In truth, you can pretty much see it all in a day. 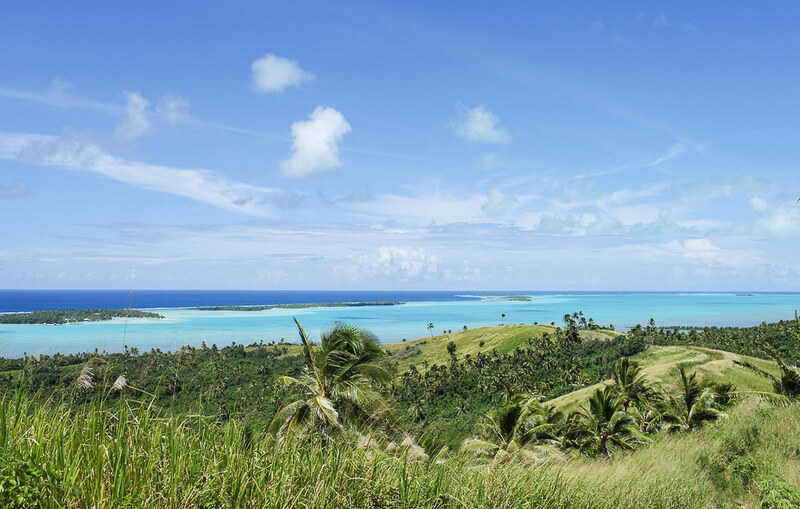 The highlights of Aitutaki are the aerial views over the lagoon and the boat trip to the neighbouring paradise islands – both of which you’ll get to experience if you opt for the day trip. Alternatively if you like to take things a little slower and want to spend some time relaxing, I would recommend spending a few nights in paradise. We opted for 5 nights which was the perfect amount of time for us. We spent one day exploring the island, one day on a boat trip, one day enjoying the water activities and two days sunbathing. How long you choose to spend on the island just depends on how much sunbathing you plan on doing. I would say that 3-5 nights would suit most people. 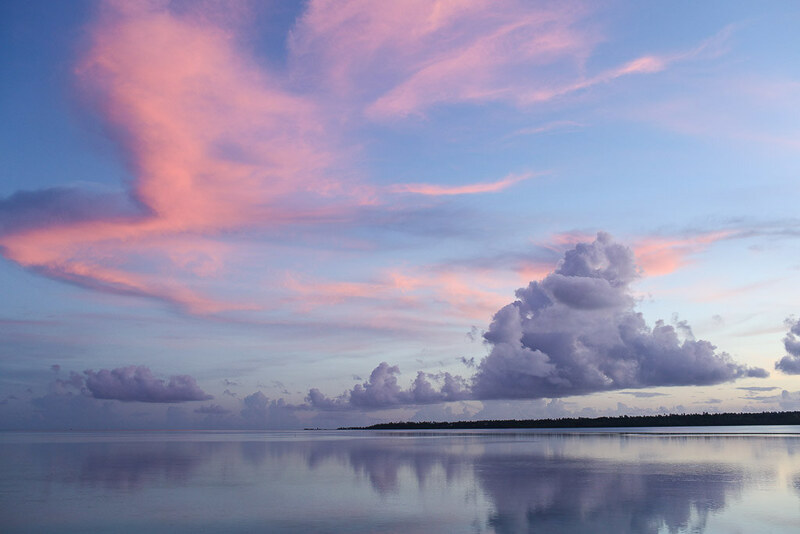 You have to see it with your own eyes to truly understand what makes Aitutaki so special. Imagine a lagoon of sparkling turquoise waters dotted with white-sand islands and you’ll have an idea of why this place steals so many hearts. 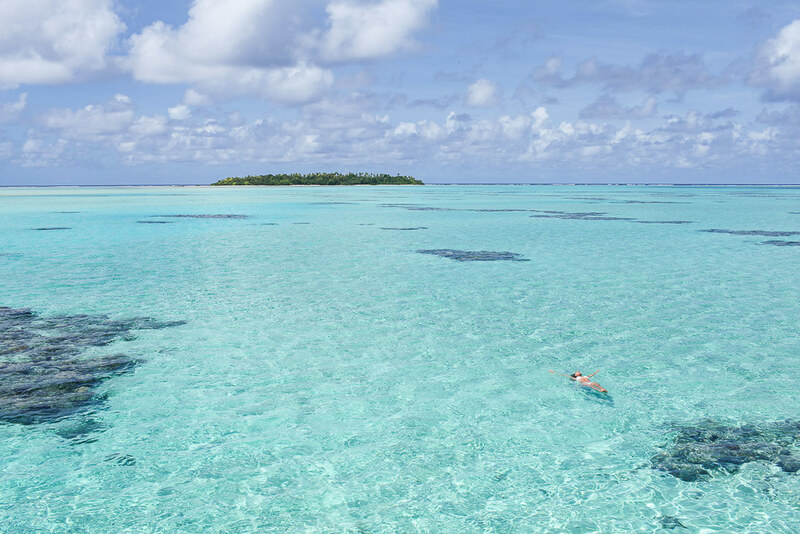 For day trippers there’s only one option and that’s to embark on an epic island-hopping boat trip around the lagoon. The boat will cruise the shallow waters stopping to swim and snorkel at paradise islands. If you’re staying overnight, there are plenty of activities to keep you occupied from paddle boarding to kayaking. Adventurers can cycle around the palm-fringed island and hike to the highest peak for beautiful views over the lagoon. One of the things that day trippers will miss out on is the epic sunsets that light up the sky every evening. 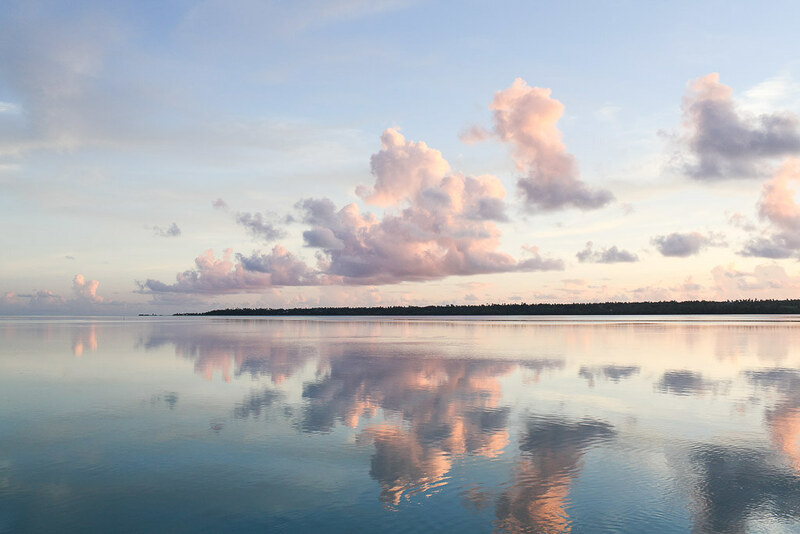 The beautiful colours and cloud formations are reflected on the still lagoon creating one of the most magical sunsets you’ll ever see. The sunsets could be reason enough to extend your stay. If I haven’t already answered that question, I’ll let the photos convince you.